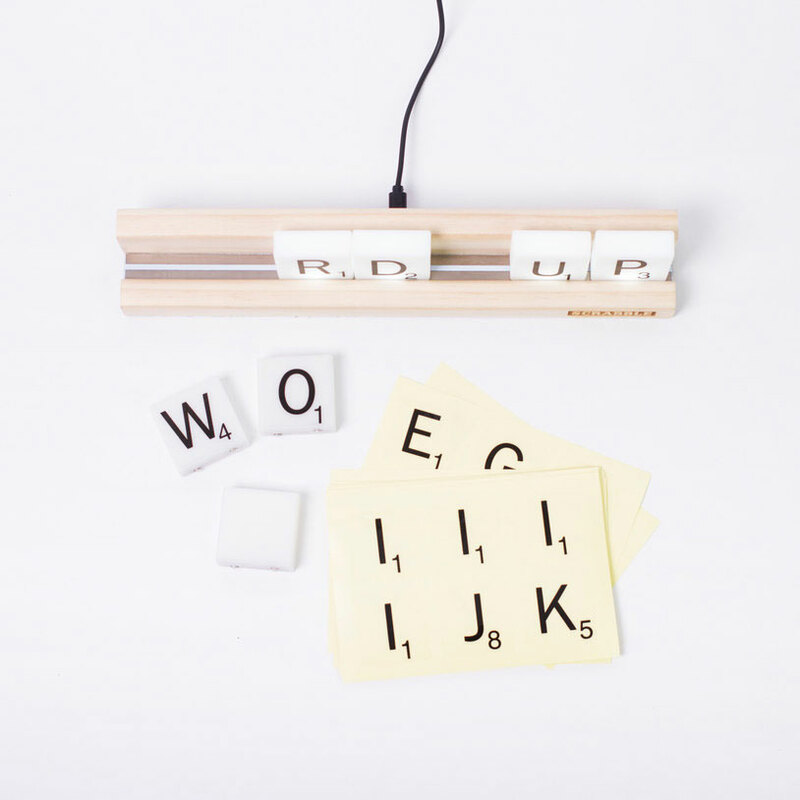 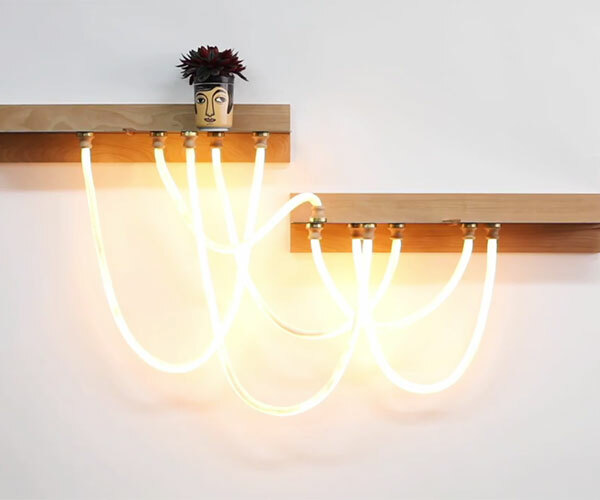 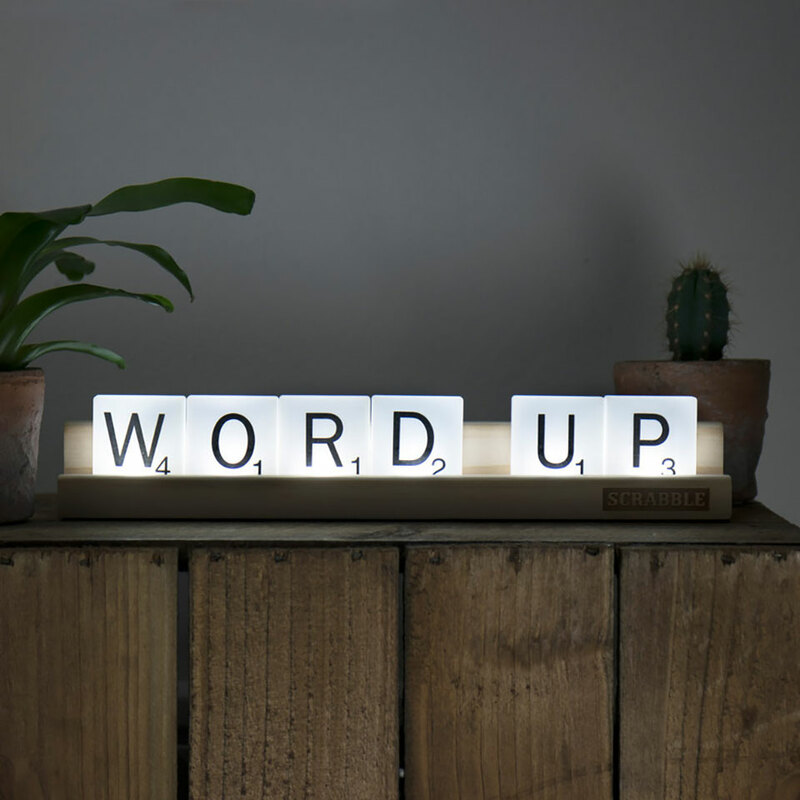 Quantify your lighting with Firebox’s officially licensed Scrabble Tile Lights. 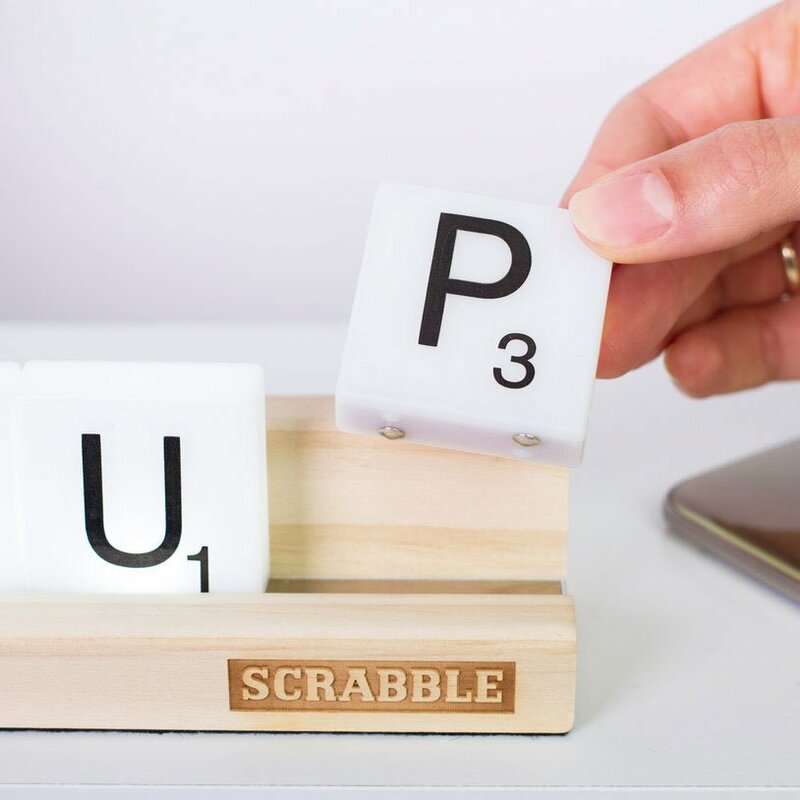 Each set comes with seven light up tiles that connect to an oversized Scrabble tray. 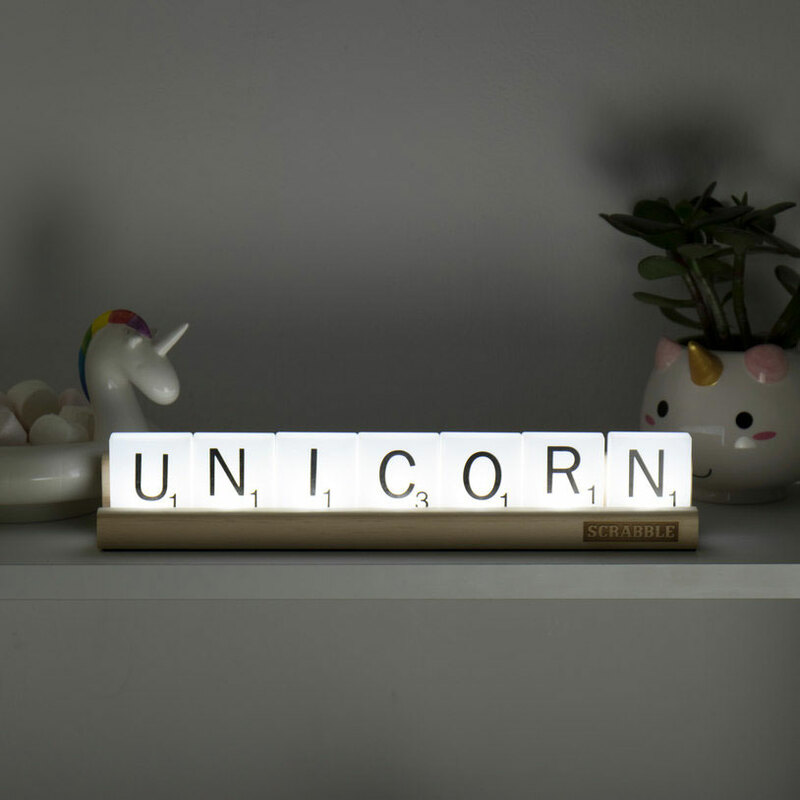 You also get 60 reusable stickers so you can customize the tiles.